. 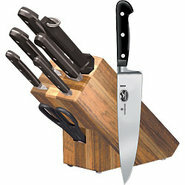 - 19 Pro Series The 19 Pro series is a dual sided flat butcher block board. Use if for professional use or home use. Chop veggies on one side and flip it over for your meats.
. - Contemporary End Grain Block Contemporary end grain block is a stunning as it is functional. Enjoy the quality of end grain and the beauty of natural hardwood. 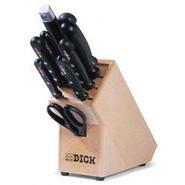 End grain won't dull your kitchen knives. 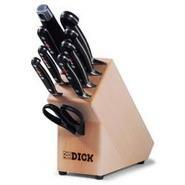 Cuisinart - 15-Pc. 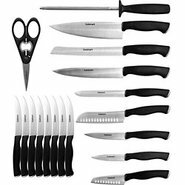 Classic Rotating Block Cutlery Set, Created Simplify prep work with the outstanding performance and convenient rotating block of this Cuisinart Classic cutlery set. 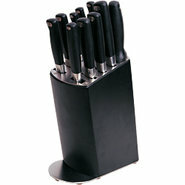 The wide assortment of knives is in high-carbon stainless steel for lasting precision.
. - 30 Pro Series With Groove Prepare dinner like a chef using our largest board in the professional series with groove. 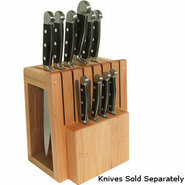 Giving you 30 of butcher block to chop dice and slice. 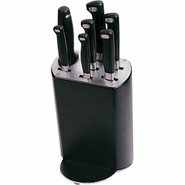 Chicago Cutlery - Prime 5-Pc. 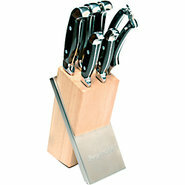 Magnetic Block Cutlery Set A combination of classic craftsmanship and modern innovation give this 5-piece set from Chicago Cutlery both precision sharpness and sure handling for lasting control and comfort.